If you’re new to the world of vaping, first of all, welcome. It’s an exciting land of delicious delights. When you’re first starting out, it’s easy to feel overwhelmed by all the devices and lingo. There’s a dizzying array of options, and when people start talking about ohms and Joules Law, you may feel your eyes starting to glaze over. But you don’t have to have some fancy, hard to use or complicated vape device to enjoy yourself. Quite the contrary. There are plenty of devices out there that are simple to use and don’t require a lot of upkeep or technical know-how. If you dig knowing the ins and outs of vaping, read on to learn more. 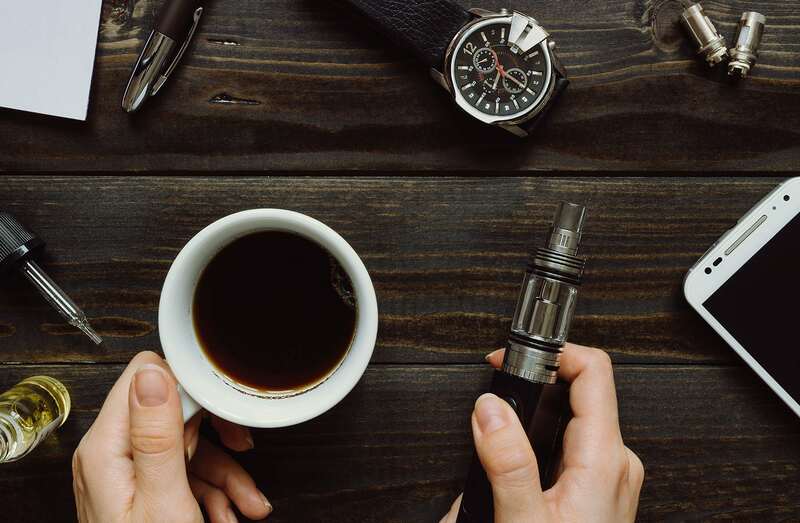 There’s a bit of learning curve when it comes to vaping, but with a little information, you’ll be able to find the device that’s right for you. Although vaping devices vary, most have the same basic components in common. These parts come together to give you an enticing vaping experience that you won’t soon forget. Vaping devices come in an array of colors, shapes, sizes and designs. Some are shaped like pens, others are shaped more like boxes. Cheaper devices often use plastic materials, whilst higher quality units may come in wood, glass or metallic finishes. Batteries are the typical power source for most units, and come in either disposable or rechargeable forms. The device generally consists of a mouthpiece, tank, atomizer, coil and wick. We’ll cover those more in depth below. The battery is an essential part of your vaping device. Some devices have built-in batteries, whilst others have removable batteries that you can recharge and replace. The battery is what powers the device. Most devices will require a specific battery size or type, often lithium ion. *Note on safety: Never overcharge your batteries. Store them at room temperature. Do not mix and match batteries in the same device, and always use the recommended battery type as prescribed by the manufacturer. The atomizer houses and connects with the coil. It may also hold the e-liquid, depending on the type of device. Atomizers come in two primary versions: disposable and non-disposable. Disposable atomizers are good for beginners and often come in “ready to go” kits that new users can purchase and start vaping without any necessary set up or maintenance. When the atomizer and/or e-juice run out, you would simply dispose of the device. Reusable atomizers also can be broken down into other types such as cartomizers and clearomizers (but we won’t focus too much on those). For now, just remember that the atomizer uses power from the battery to heat up the coil. Atomizers can be simple, or complex, and the type of atomizer you will want to use depends largely on your experience level and the type of vaping experience you hope to enjoy. As already mentioned, the coil is what heats up. When the coil reaches a critical temperature, any concentrate or e-juice in contact with the coil vaporizes. Coils are often made of nickel, NiChrome, or kanthal. The number of wraps, the coil diameter, and the type of coil all contribute to the resistance of the coil. The coil’s resistance determines how much heat the coil produces and how fast. Coils come in a variety of configurations, including single, double and rod set ups. Single coils produce less vapor but more flavor while double coils produce larger vape clouds, but often less intense flavors. Conversely, quartz rods provide a combination of flavor and vapor, as do ceramic rods. The wick is what carries e-liquid or concentrate to the coil. Wicks are made from a variety of materials including cotton and silica cord. Vaping devices come in different shapes and styles. Some are perfect for beginners, while others might be more suitable once you get some experience under your belt. Vape pens are the simplest type of vaping device. Shaped, not surprisingly, like pens, they’re simple to set up and extremely portable. There are pens designed for enjoying dry herbs, pens for wax, and pens for e-liquids. Vape pens typically have a built-in battery that you charge using a USB port. The atomizers used in pens vary. Vape pens typically have a single button that you push to heat the coils and enjoy the vapor. Smaller vape pens are more portable, but won’t last as long. Larger vape pens have more battery power and can often last all day. Vape pens are usually conduction vaporizers, meaning the material you’re using to vape comes in direct contact with the heating element. Convection vaporizers, on the other hand, heat the material using hot air that’s blown through a heating chamber. Some feel this provides a better vaping experience. Some vape pens have a single setting, which means you can’t control the amount of heat. Other pens let you control the heat settings by using different clicks. Different heat settings yield different vaping experiences, so you might want to try a number of options to find out which one best suits your style and needs. Pens can be very affordable. Cheaper models may not last as long, with typical issues such as worn out batteries or parts marking the death of your pen with daily use. To find the right vape pen for you, do your research. You can look for online reviews or go to a reputable store. A good retailer will be happy to explain your options and assist you with any questions you have. Box mods look like a little box. You can get them in kits, which include an atomizer, or you can purchase the box mod and atomizer separately. Box mods typically have a digital screen. The screen will show information like the wattage and the resistance of the coils you’re using. Box mods are also highly customizable. You can typically change the wattage and change the resistance settings to match your atomizer. You may even be able to change the colors of the screen. To use a box mod, you typically click and hold a button to vape. 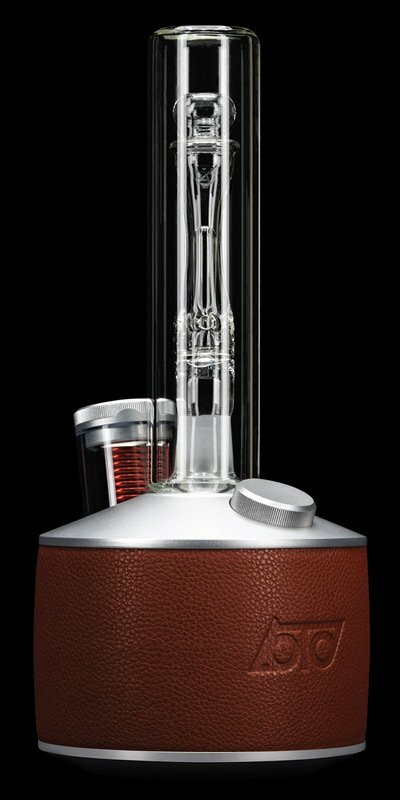 When you click the button, you may also be able to toggle through different screens and lock and unlock the vaporizer. Locking the vaporizer will prevent accidental firings if you keep the vape in a pocket or purse. Box mod batteries are removable and rechargeable. You can charge the batteries while they’re in most devices using a micro-USB port, but most recommend using an external charger and removing the batteries to charge them. You will need to purchase the external charger separately. With a box mod, you screw an atomizer into the top. Atomizers vary in size and shape, and they typically have a mechanism for changing the air flow. Replaceable coil atomizers allow you to replace the coil, which you will need to do one to three times per week, depending on your use. You can also use a rebuildable atomizer with a box mod. Box mods are relatively beginner friendly but you may need some assistance with the initial setup. You’ll also likely want to experiment a bit to find the ideal airflow and your preferred voltage. Box mods are sturdy, and if you drop it, you’ll typically just need to replace the atomizer rather than the whole unit. Mechanical mods use a firing pin and no circuitry. They come in a variety of shapes and sizes. They also aren’t regulated, and are typically better suited for advanced users who have a solid understanding of battery safety. In other words, they aren’t beginner friendly, so if you’re just starting out, try a box mod or vape pen instead. Some devices defy simple categorization. One such device is the Loto Legend. The Loto Legend looks and acts completely differently from other vape devices. It has a sleek, elegant appearance and uses a patented new induction heating process. Magnetic induction heating uses a non-contact process, meaning the heating element doesn’t come in contact with the vaping material. The Loto Legend uses concentrates, which are quite potent. You can also download an app and control the device settings via Bluetooth. Once you have an idea of the devices and options available, it’s time to decide what to buy. There are a few things to keep in mind to get started. Vape devices vary widely in price. Vape pens are typically less expensive, but they can be a significant investment. Rather than making a decision based solely on price, keep in mind that a cheaper device may need to be replaced sooner than a more expensive one. If you just want to get a feel for vaping and see if you enjoy it, though, a cheap device may be a good place to start. You can always upgrade to a device that’s better suited to your needs and preferences at a later date. If you’re constantly on the go, you need a device that will keep up with you. If you’re not able to regularly charge your device, look for one with a long battery life. Vape pens are sleek and portable. Box mods are heavier and can be a bit more difficult to fit into a purse or pocket. When you’re looking at different options, keep in mind how you’re likely to carry and store it. The tank size can make a difference as well. A larger tank will hold more material, so you don’t have to constantly refill it. Vape devices wear out. Sometimes they break. Look for a device that has a warranty. This means the manufacturer has faith in their product and is willing to replace it if something goes wrong. Different coils and set-ups give different vape cloud and flavor experiences. You may need to experiment a bit before you find the set-up that’s ideal for you. Some coils are better for creating clouds, while others are designed for flavor. Some combine the two. Here at Loto Labs we aim to bring you the very best vape news, articles, how-to guides, and information to keep you “in the know.” We hope you enjoyed this guide and that you’ll give our Loto Legend unit a look…we promise you won’t be disappointed. Vape Devices Gone Bad: User Error or Device Malfunction?